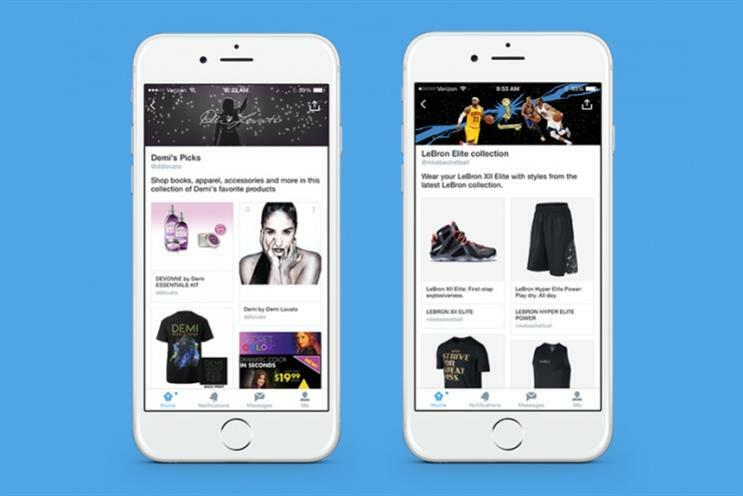 Nike and Disney are making it easier for consumers to buy their products through Twitter, building the first dedicated product pages on the site. The pages allow brands to create a shop window of sorts, meaning consumers can browse items, see prices, and potentially even complete a purchase through Twitter. Consumers can access these by visiting a brand or celebrity's Twitter profile page and clicking 'Browse collection'. For example, Disney has pulled together a collection of merchandise for its Pixar release, Inside Out. Nike, meanwhile, is allowing consumers to browse its LeBron collection of basketball trainers. While Twitter's online shops look much like any other, the main drawback is that clicking on an item will take the user to the brand's site to complete the purchase. This isn't true of all brands: T-shirt company Threadless displays a 'Buy on Twitter' button prominently against some items. This doesn't seem to work in the UK, however. Product pages are in the trial phase, with Twitter also inviting celebrities including Reese Witherspoon, Amanda Palmer and William Shatner to post their own collections. Twitter said in a blog post that it would expand its list of partner brands and celebrities over time. The current trial marks an evolution in Twitter's ecommerce strategy, with the firm trying to nail down more ways to keep its users engaged and to attract brands. It began trialling a 'buy now' button with US brands last year, allowing consumers to shop directly from tweets.